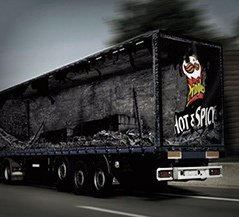 Welcome to AGAD Ltd, the mobile truck advertising specialists. 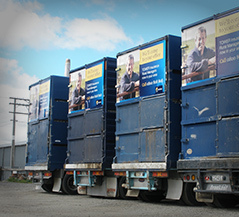 AGAD offers companies the opportunity to advertise on leading freight carriers and stock trucks throughout New Zealand allowing you to reach regions not possible with traditional outdoor advertising formats. 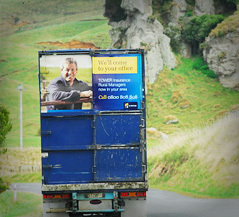 These moving billboards are large impact, powerful platforms to capture the attention of provincial New Zealand. 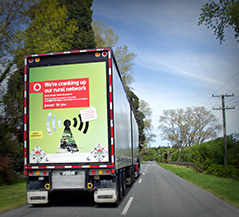 Freight trucks travel over 10,000km of rural roads and New Zealand’s busiest state highways per month. 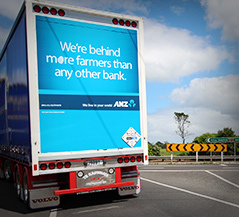 Or if the hardworking rural consumer is your target market, advertise on the rear of stock trucks who visit farmers on a daily basis. 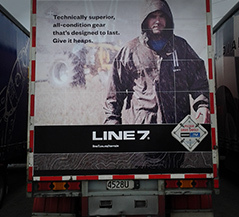 Stock trucks are the more rural option with a real farming presence. 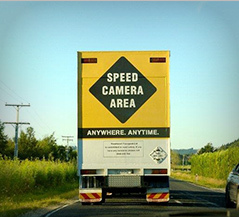 AGAD can target specific metropolitan cities, provincial towns and state highways to ensure your message gets to the right person at the right time. AGAD offers an innovative targeted solution, either reinforcing your marketing message, or promoting a new product by increasing brand awareness and recall to untapped provincial New Zealand. Click here to see which media options best suit you or you can contact us today for an affordable pricing package. Check out how effective mobile advertising can be. Watch our video now! 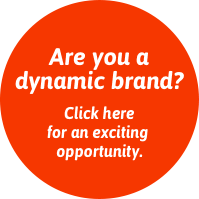 The creative opportunities are endless…talk to AGAD today. AGAD now offer GPS technology for tracking monthly kilometres and locations.